How many people are compelled to give by the message, “We do pretty good work?” Three? Maybe four? Seriously. People want to give to extraordinary organizations who are doing transformational work. They want to be part of something important. Something that is making a difference. 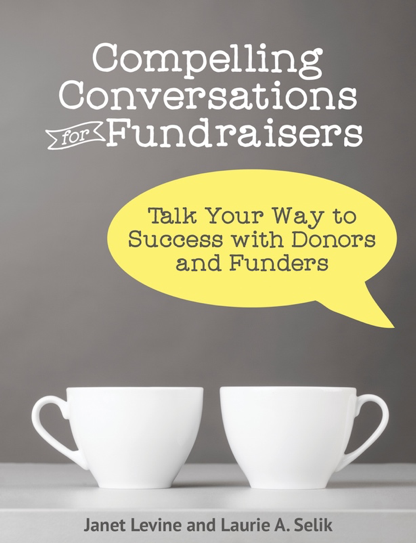 How you talk about your organization will make a difference to your donors and would be donors. It shouldn’t be so far from the truth that it elicits only giggles, but it should be goosebump inducing. Maybe your programs aren’t amazing…yet. So talk about what it will take to get them there. And perhaps your results aren’t so sterling. What will you do to turn dross into gold? What dreams can you share? What vision can you paint? And importantly, how will you get there? In most of life, being good is quite honestly enough. But not when you are asking people to part with their hard-earned (or inherited) money. You have to be better than good. That means that all your aspirations need to be lofty. And you have to describe in compelling ways. So you don’t just want to feed people, you want to free them from hunger. You don’t want to provide good health care or even excellent education. You want to change the world and, by doing so, give your donor a chance to be part of something truly incandescent. As you talk or write about your organization are you creating a picture of something that matters? Are you asking your supporters to aspire to greater heights? Are you showing them how this—the work you do and the support they provide—change the world, whatever world you are defining? To do this, of course, means you must think from your donors’ perspective. And that is something so hard for most nonprofits to do. We ask for what we need. We tell what we think is interesting or important. A long time ago, I worked at a think tank. The CEO was evangelical about the work we did—but it was HIS interests that fueled his conversation. One day we were at a potential donor’s and he was waxing eloquent about a project our research department was involved with. My boss nodded enthusiastically and recited all the exciting things that the research was uncovering. Of course, my CEO had no clue. He had been so engrossed in telling the prospect about the amazing things we were doing, he neglected to find out what mattered to our prospect. What were his interests? What did he hope to accomplish with any philanthropic gift. It served as a reminder to me that before we ask for a gift, we need to ask what they care about, what matters to them, and what would induce them to support the amazing and wonderful work we do. Janet Levine works with nonprofits, helping them to increase fundraising results. Learn more at www.janetlevineconsulting.com. Sign up for the free newsletter and email Janet for your free 30 minute consultation. This entry was posted in fundraising and tagged donor centric, fundraising aspiration, language. Bookmark the permalink.